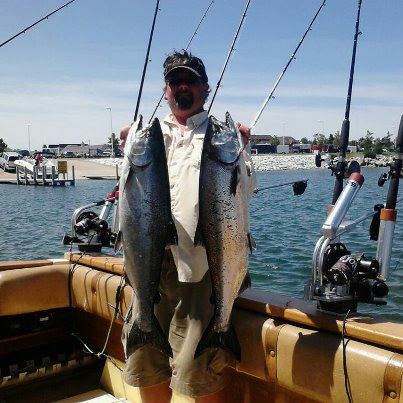 Two Hearted Sporfishing Charters fishes offers access to some of northern Lake Huron's finest fishing opportunities! 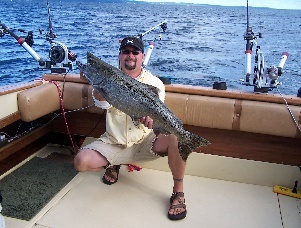 Two Hearted Sportfishing Charters offers Lake Huron fishing for Salmon, Trout, Walleye, Atlantic Salmon, Steelhead, and Brown Trout. 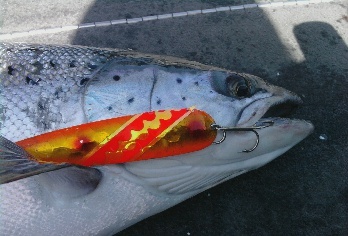 Charter fishing trips offered out of home port in Alpena, Michigan, as well as Presque Isle and Mackinac. 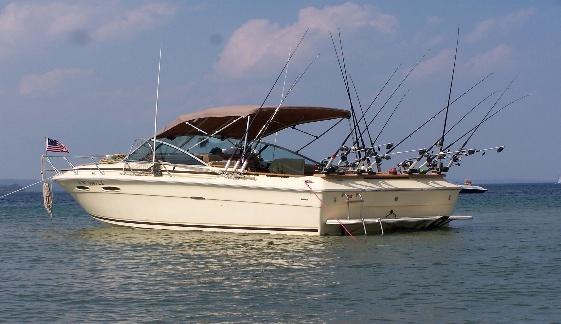 The "Two Hearted" is a fully equipped 25.5 Sea Ray Amberjack. She has a 10 foot open fishing platform, stand up bathroom (head), full galley complete with stove, refrigerator and sink. Sleeping quarters are available.